Fans who want to sit on a bank and watch the race for 24 hours without moving. Some of the best spectator views of the track. 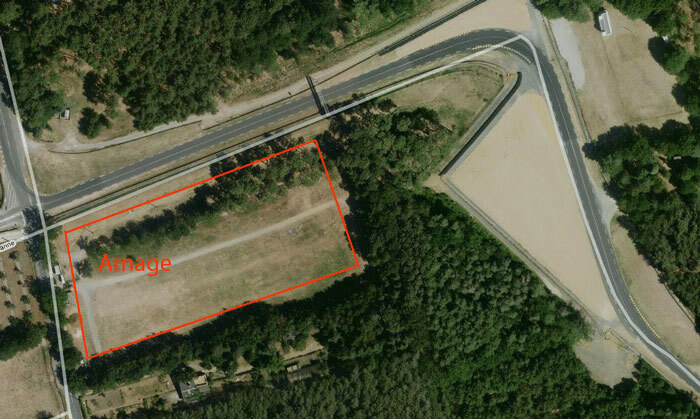 The construction of a new public road towards the Porsche Curves roundabout will affect the layout of this campsite. The impact is not currently clear. 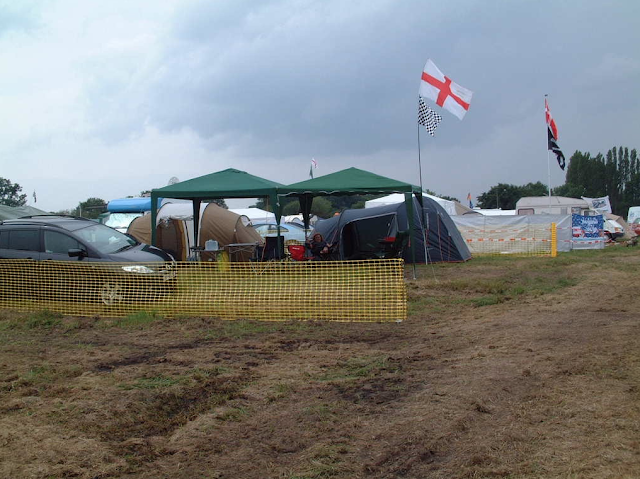 Situated on the outfield on the fantastic Arnage/Indianapolis corner complex. Great trackside viewing guaranteed, but remote from most other things. Expect to share your view with many thousands of people who travel here at least once during the race. Great track viewing a few yards from your tent. Out in the countryside, but unlike Mulsanne no bars or shops close by. Local roads very busy with spectators during the race. The village of Arnage is further away than you might imagine, but perfectly accessible by bike or car. In May 1944 an RAF Halifax was shot down and crashed close to Arnage corner. There is a memorial in the trees, just a few hundred metres from the track.